This is such exciting news! Late last night we surpassed last year’s total number of new elves. We’re now very, very close to achieving the goal of 6 million new tracker elves that Santa gave us back in October. Together, with the elves recruited over the past few years, we have more than 12 million tracker elves world-wide tracking Santa for Santa. That is a remarkable achievement. I thank you all for your hard work. It could not have happened without your help. Now we turn a new corner in our efforts. The news from here out becomes very specific and it will be coming out quickly. You need to be ready to respond. In just a few short hours, tracker check in begins. This is a very important process. 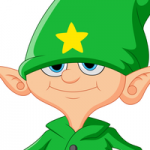 It tells us how many of our 12 million elves are actually on the job and when. Part of our efforts will not only be sending in reports to the North Pole but in telling the world exactly where Santa is. 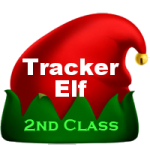 To that end, we will be posting VERY soon a tracker map just for Santa trackers. We hope you like it. Thank you again for all you are doing! That’s so awesome! Hope we achieve our goal!